An American Red Cross medical director and Air Force vet murdered his girlfriend, infant son and family dog before committing suicide, cops said. Dr. John Lunetta's neighbors called police Monday morning to request a welfare check on Lunetta, 40, his wife, Karen Michelle Jackson, 35, and their baby after saying the Las Vegas residence had been eerily quiet over the weekend. 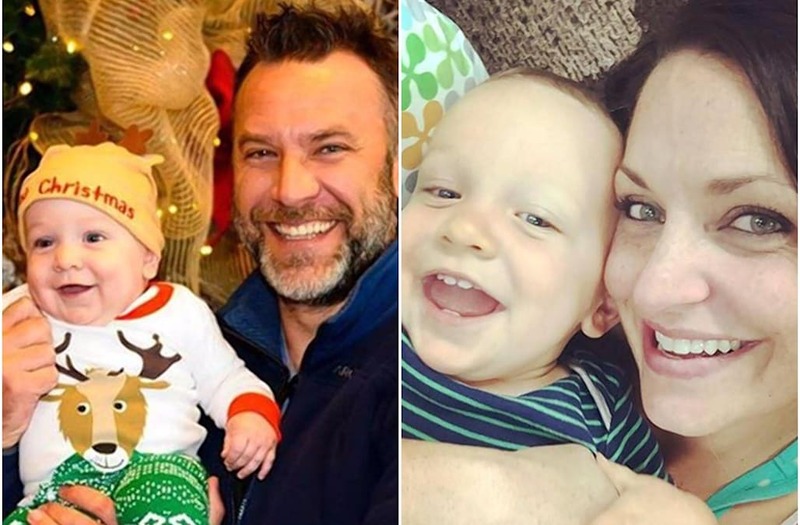 When police arrived to check in on the family, they found the bodies of the couple, baby and family dog in their home, just two days before their baby boy's first birthday. The Metropolitan Police Department said that Lunetta was responsible for the four deaths. Las Vegas Police Lieutenant Dan McGrath said Lunetta "is clearly the suspect," according to the Las Vegas Journal-Review. "We don't know why he did this," said McGrath. He said that Lunetta was a registered gun owner and had contacted police before about a recent custody issue, but added that there were no reports of physical violence involved. Neighbors of the family told KSNV they were stunned by the discovery. "This is deranged. He must have snapped," neighbor Denise Bernardo told the local outlet. Bernardo said she would have laughed if anyone even suggested the Red Cross doctor was capable of murdering his family prior to this horrific event. Neighbors told the Review Journal that they "never saw the couple fight or argue, but rumors emerged after the bodies were discovered." People who lived next door said they heard complaints from Jackson's 10-year-old daughter -- who was not present or harmed in the crime -- that Lunetta was controlling. Others said they spotted a moving truck outside of Lunetta's home and wondered if Jackson was leaving. According to the New York Post, Jackson posted on Facebook on July 5 that she had just passed a certification exam to become a nurse practitioner. And in her SUV, still parked in the driveway, police found a stack of books next to the baby's carseat.